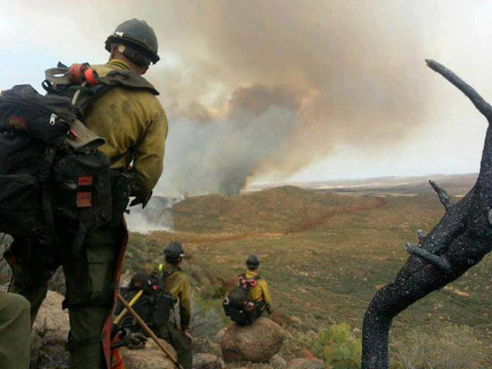 As we posted earlier this week, Arizona lost 19 of our elite firefighters in the Yarnell Hill Fire on June 30, 2013. 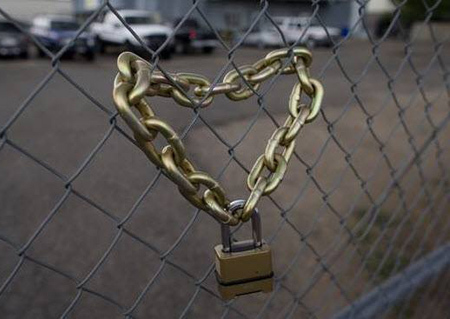 On July 1st a caravan of 19 vans took the bodies to the Maricopa County Medical Examiner’s Office to perform autopsies since the Yavapai County authorities didn’t have the resources to handle so many casualties. 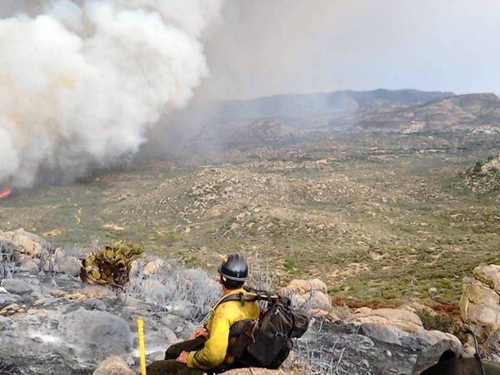 The remains of our Fallen Firefighters will be escorted, with full Honor Guard, from Phoenix to the Yavapai County Medical Examiner’s Office on Sunday, July 7, beginning at 10 a.m. PDT. 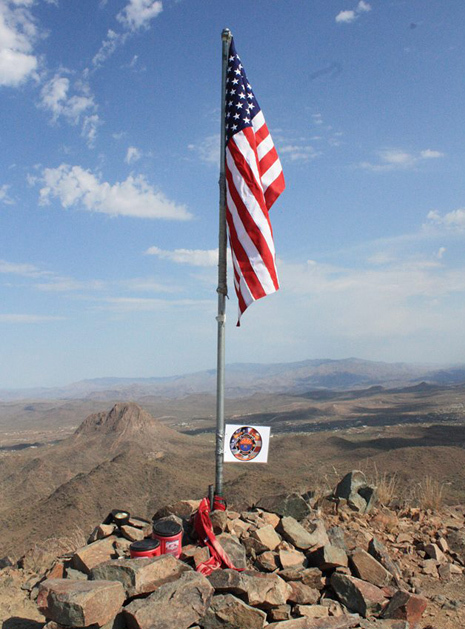 A majority of the route from Phoenix to Prescott Valley is open to the public for those who would like to pay tribute, and the procession route is available on YarnellFallenFirefighters.com. 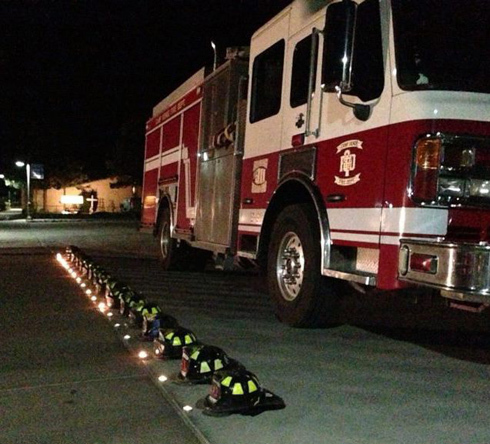 Then a Memorial Service will be held Tuesday, July 9, 2013 at Tim’s Toyota Center in Prescott Valley, Arizona from 11 a.m. to 1 p.m. Pacific. 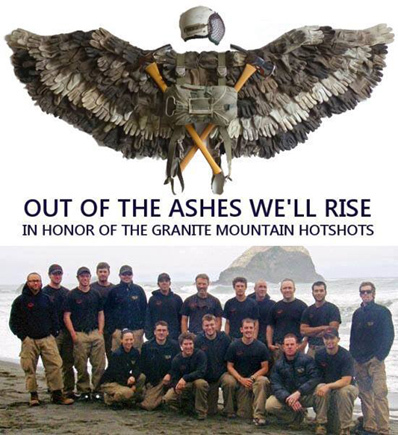 We wanted to take another moment to honor our Granite Mountain Hotshots with several photos we found on Facebook this week, and provide some links to several organizations that are raising funds for the families of these heroes. Also please take a moment to view a video tribute by elledub1015 at the bottom. 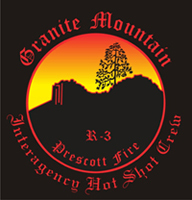 The Granite Mountain Hotshots Memorial Incident Management Team has raised more than $800,000 through three firefighter-endorsed organizations: the 100 Club of Arizona, the Wildland Firefighters Foundation, and the United Phoenix Firefighters Association. Other similar websites have also been created, but their intent or credibility has not been verified. The Team encourages all donors to first check the credibility and confirm their 501C3 status before donating.